We provide several opportunities for members to be leaders in our house. From executive council positions to chairmanships, each member contributes something unique to the Omega Chapter that makes us who we are. 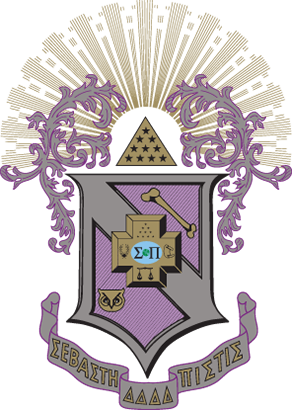 Omega Chapter of Sigma Pi Fraternity, International chartered at Oregon State University on May 10th, 1924. Sigma Pi encourages a fraternal culture that promotes its ideals by philanthropic events for its members and the communities in which its chapters are located. Each Chapter completes regular philanthropy events and participate in Sigma Pi’s Altruistic Campus Experience (ACE). The ACE project is in addition to Omega Chapter's normal philanthropy event and participation in other Greek philanthropies on campus. 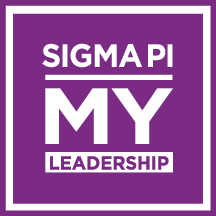 The Sigma Pi Mid-Year Leadership Conference provides officer training and networking opportunities to over 500 newly elected undergraduate officers and alumni volunteers annually. Chapter officers will return to campus with a better understanding of their position and how to move their chapter forward in a positive direction. Alumni volunteers will receive education and training on new Sigma Pi policies and will be able to guide and educate the chapters they are in charge of. Sigma Pi University, The Tony Siress Career & Leadership Institute, is a special three-day summer program, which was initiated in 1999 and has been held in every subsequent odd-numbered year. Unlike the Mid-Year Leadership Conference, its attendance is open to all interested undergraduates (brothers and new members) as well as alumni. SPU also provides a venue for the informal exchange of successful ideas and activities among the conference attendees. Attendees of this conference have consistently praised its value in helping understand what is necessary to be successful on campus as well as after graduation.